Happy 200th Birthday Columbus. There is a lot going on in October 2012 (and starting this weekend.) Or started yesterday. 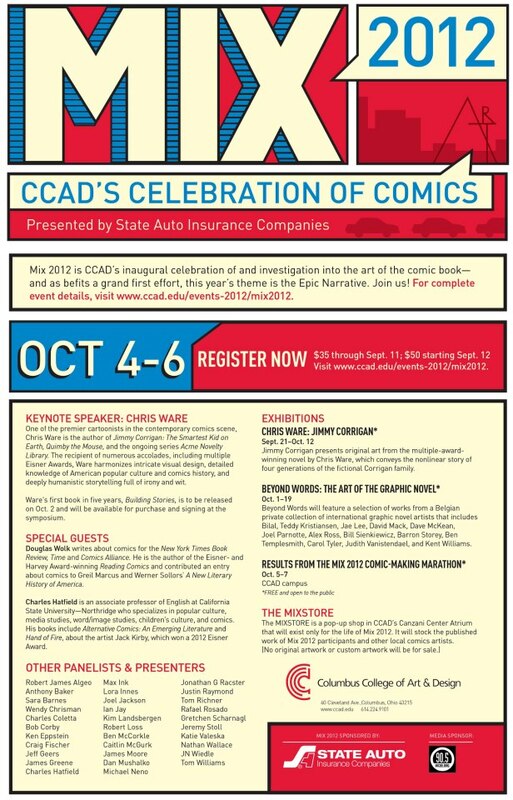 Thanks to Maddie Miller for sharing CCAD’s MIX Comics Symposium! on ’365 Things to do in Columbus, Ohio’ on Facebook. 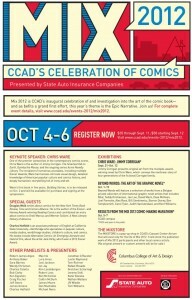 CCAD’s event celebrating comics runs October 3 or 4th to October 6, 2012. This is the the inaugural event! The MIX 2012 poster… thumbnail here says the event runs October 4 to 6, 2012 but the MIX Comics Symposium site lists October 3, 2012. A student event, the website says “Mix 2012 Comics Student Marathon begins” on October 3, 2012. TEDx Columbus is Friday, October 5, 2012. I went to TEDx Columbus 2009, 2010 and 2011. Creative Engines is Monday, Oct 8, 2012 at 7:00 p.m.
For any event without a link, try the idUS site (link abover) or ExperienceColumbus.com for details. Night Out Powell is Thursday October 4, 2012. First Friday in Worthington is October 5, 2012. Gallery Hop in the Short North is Saturday October 6, 2012. 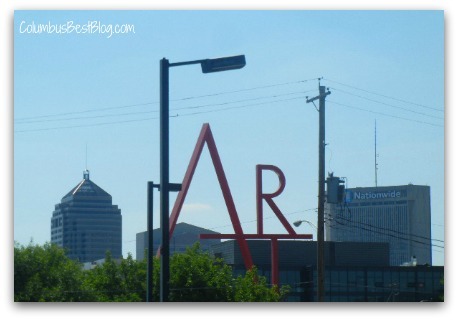 If you have things to do in Columbus share them on ’365 Things to do in Columbus Ohio’ on Facebook. Previous post: Willkommen to Columbus this Weekend!